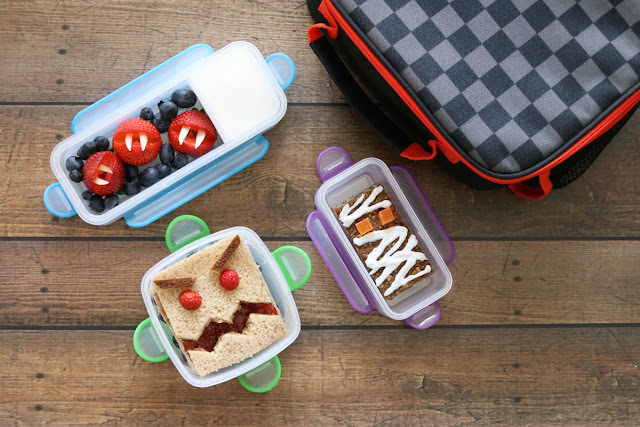 6 Tips to Make Back-to-School Lunch Packing Easy! This is a sponsored post in partnership with Staples. All opinions are my own. Nothing puts the fear of back-to-school in parents like the thought of the every day grind of making lunches. It starts off easy enough. You end the summer on a high note looking to get back into a routine. You convince yourself that this is the year that things will be different. Then it's one month in and you're back to the morning scramble trying to throw something together with three minutes to go before you leave the house. The good news is that it doesn't have to be that way! 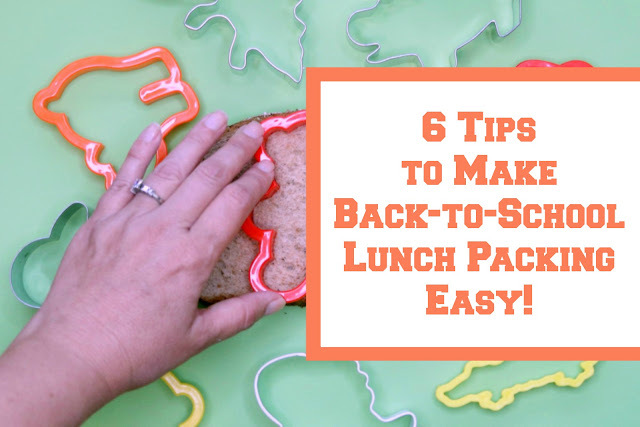 You have already taken the first step toward school lunch success by visiting my blog because I have tons of fun lunch ideas to help guide you this year! The next step is also good news because you're reading this blog post. I have been doing this lunch thing for awhile so I have learned quite a bit along the way. As you scroll down you will see some of my favorite tips for making school lunch packing easier. The great thing is that you can pick up most of the supplies at your local Staples. 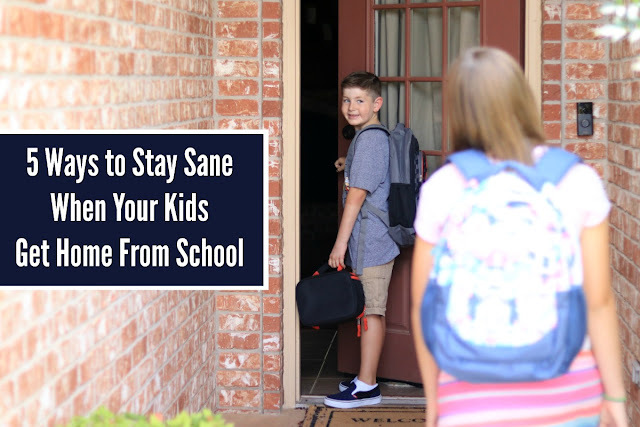 I hope that these tips help your school year go smoothly and that your kids come home with empty lunchboxes! 1. Dips are your new best friend. Have you ever tried to get your kids to eat more fruits and vegetables? Have you ever failed miserably? Join the club. We have found that including dips in your kid's lunchbox can make a huge difference. 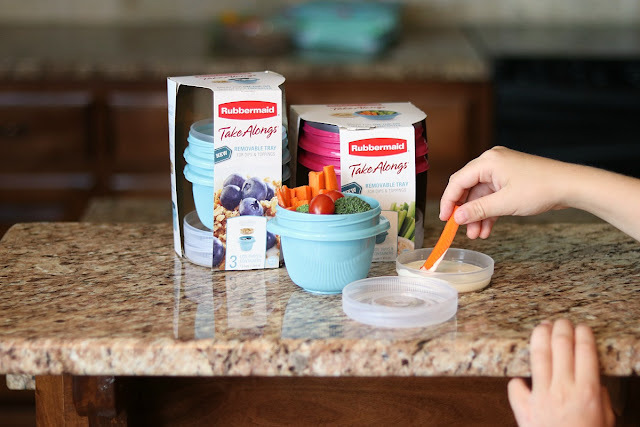 All you need are some good dip containers, like these Rubbermaid TakeAlongs, and a few simple ingredients. Greek yogurt and honey, nut free spreads with granola, hazelnut spread, and ranch dressing all make easy and tasty dips. Don't laugh but my youngest even loves dipping his apples in ketchup! This is actually a birthday lunch in surprise! My daughter is turning twelve today and one of her favorite all-time things is Harry Potter. 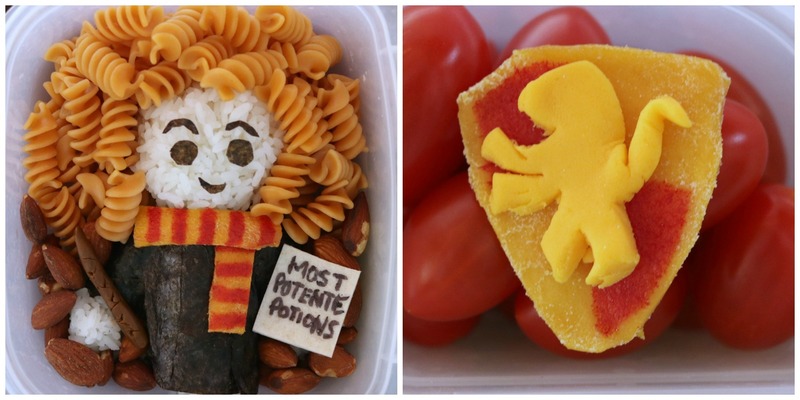 She even had an entire Harry Potter themed birthday party this weekend. I might eventually have to do a blog post on all the fun parts of the party that we created. However, I have never made her a Hermione Granger lunch, so it was about time! This is not my normal style lunch but I figured why not try something different? I think this might be the second lunch in which I have ever used rice in as the main dish. I'll even let you in on a little secret. I took the easy route and just went and bought sticky rice at a local sushi place today instead of making my own. It cost all of $2 and was worth every penny. Another hack is to put cold water on your hands as you're shaping the rice and rolling it in nori. This will help the rice not stick to your hands and also make the seaweed easier to seal. I made the lunch in an Easy Lunch Boxes container. 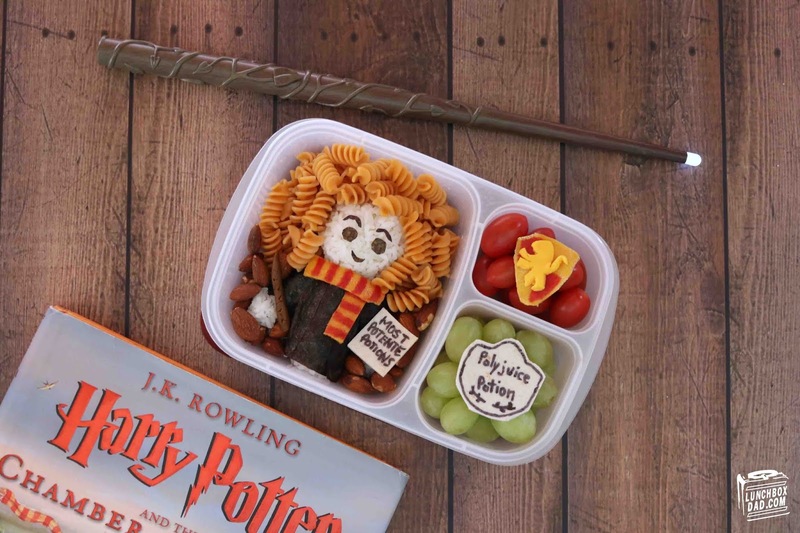 So make sure to read the recipe below and share this with all of your Potterhead friends! This is a sponsored post in partnership with Carbona. All opinions are my own. Some parents couldn't be more excited for this time of year, and some parents are crying that the school year is about to start. Regardless of where you fall on this back-to-school debate, there is one thing that this is true for all parents. That whirlwind of a few hours after your kids step in the door has the potential to shake your home to the foundation. Who knew that your house could be destroyed in six minutes by a second grader using nothing more than a granola bar and juice box? However, with a few of the tweaks below you can turn after school frustration into a distant memory. Have you ever had your kids walk in the door and leave a trail through the house of well...pretty much everything they own? Oh it happens everyday? Exactly. That's why if you set up a backpack station near the door they will have a place to hang and store their bag right when they walk in. 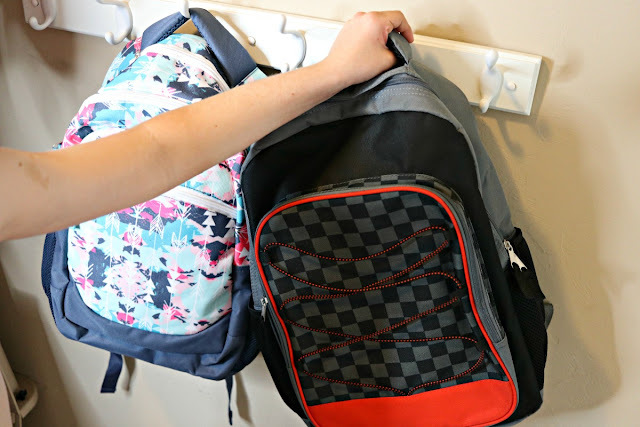 This also creates a consistent place at night to store everything they will need for school the next day which eliminates the morning mad scramble to find homework, permission slips, binders, and more! Ever since my kids and I saw Avengers Infinity War this summer they have pretty much been obsessed. My son can't get enough of Thanos and his Infinity Gauntlet. Granted Thanos might not be the best role model for him, but hey he's in third grade. Of course I had to also throw in some of the other superheroes. What? You can't see Spider-Man, Black Panther, Dr. Strange, and the Guardians of the Galaxy? They are in the upper right corner! Well, what's left of them is. 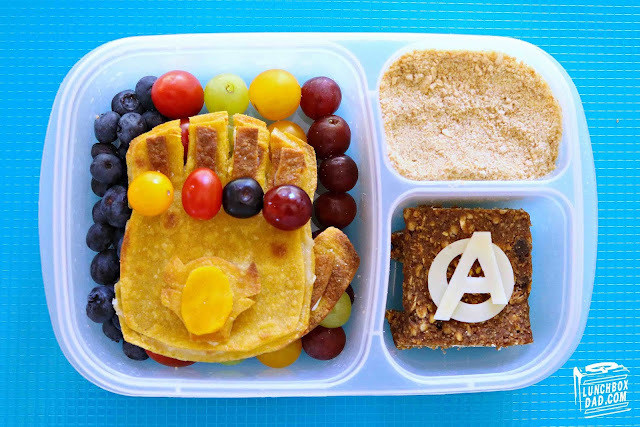 If you want your kids to rule the lunch room, try out the Infinity Gauntlet lunch. The video tutorial and ingredients are below! Growing up in the 80's and 90's I was always excited for the first day of school. Although we didn't have a ton, I always had the necessary school supplies and a new t-shirt to wear when summer was coming to a close. I used to love throwing on that No Fear shirt (I never was able to get a Hypercolor one) and opening up that new binder and fresh pack of #2 pencils. Well today my kids don't know how good they have it with everything that's available at their local Staples during this time of year. 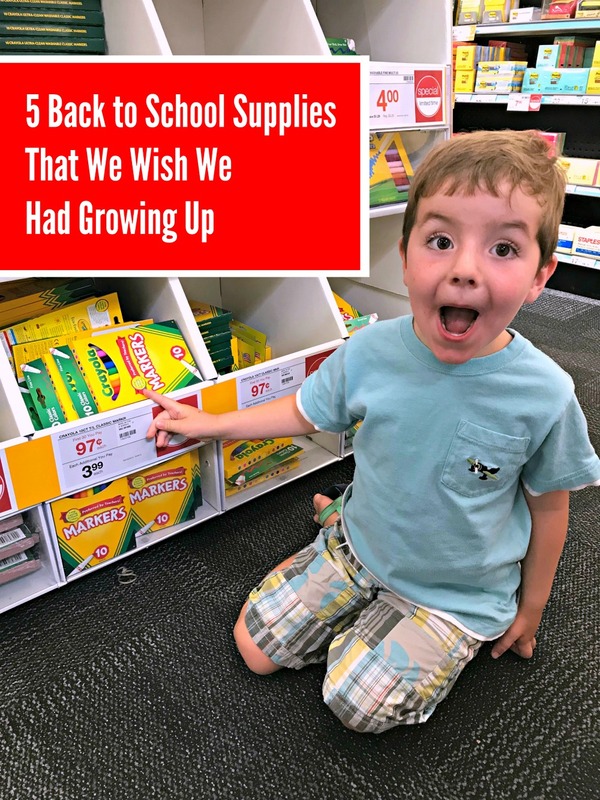 Here are just a few of the school supplies that I wish I had growing up! This digital burrito (play the video above to understand why it is a burrito) is everything you would want going back to school. It helps keep all of your cords, earbuds, chargers, stylus, and more organized...and it rolls up to become one of the greatest foods in history! When I was growing up in the 80's do you know what we had to use to organize our stuff? Yellow paper folders with generic high school sports stars on the front. Who remembers those? This one is for me. 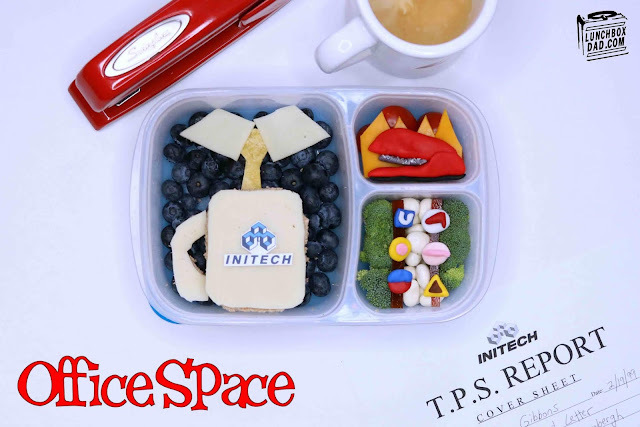 99% of the lunches I make are for my kids so this Office Space lunch falls into that 1%. I don't even care that they have no idea what it is. They haven't started school yet so I need a lunch. If you have never watched Office Space, stop right now and go watch it. There are so many iconic scenes that there is no way I could fit them all into one lunch. Starting with the TPS report and ending with the fire and red Swingline stapler (which doesn't bind up like the Boston stapler) this movie is a classic in my book. Of course I had to add Lumbergh's mug and his obnoxious dress shirt. I couldn't really figure out the actual pieces of flair on Jennifer Aniston's Chotchkie's uniform (which is represented by the green and white stripes), and I couldn't fit the minimum 17 pieces of flair in the lunch. However, I did include the "We Aren't in Kansas Anymore" one at the top right. Of course I had to have the red stapler, and my actual red Swingline, with some fire in the background. I wish I had room for a jump to conclusions mat, but I guess that will have to go in the next one. 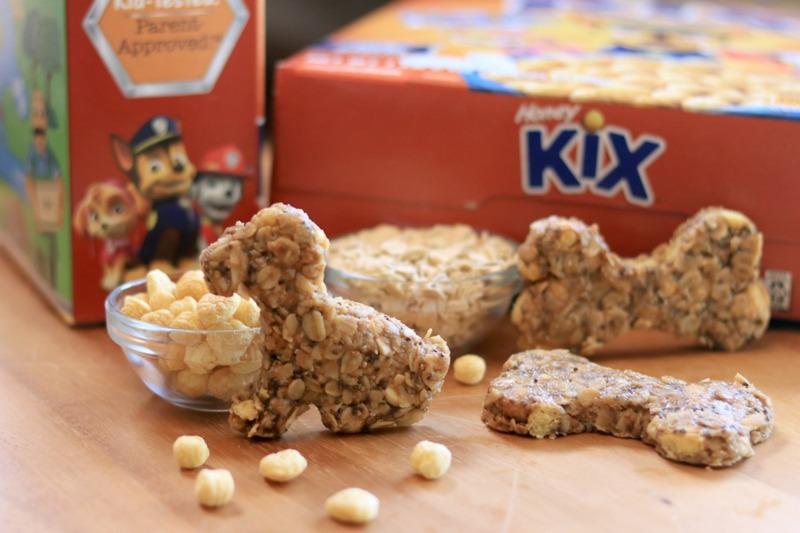 This is a sponsored post in partnership with General Mills Cereal. All opinions are my own. Are you even a parent of a young child if you can't name at least two members of Paw Patrol? Chances are good that you can name more than that! Who's your kid's favorite character? Is it Marshall? Maybe it's Sky? My youngest loves Chase! 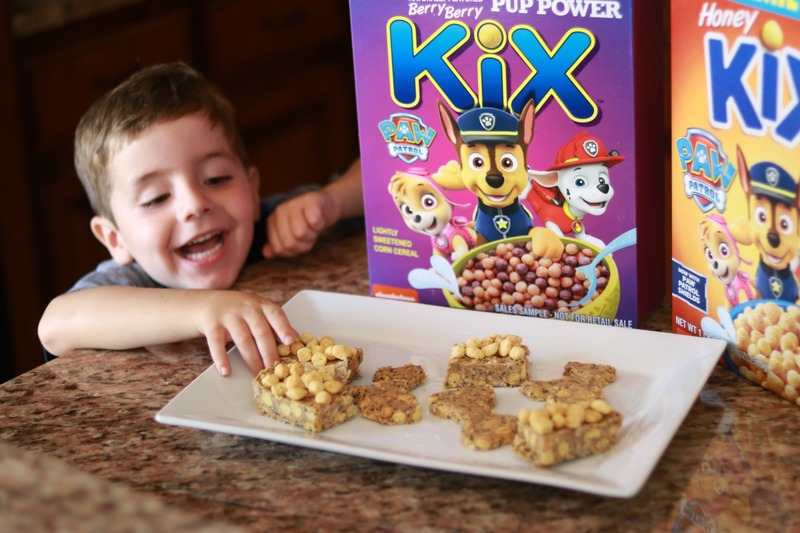 He also loves Kix cereal. So when we found out that Kix was partnering with Paw Patrol, I knew we had to make a fun treat out of it! Back-to-School Monster Lunch with ALDI! This is a sponsored post in partnership with ALDI. All opinions are my own. If you are like my family, you are scrambling to get your kids ready for back-to-school! Between shopping, meet the teacher times, and signing our kids up for all the things, this a crazy time of year. 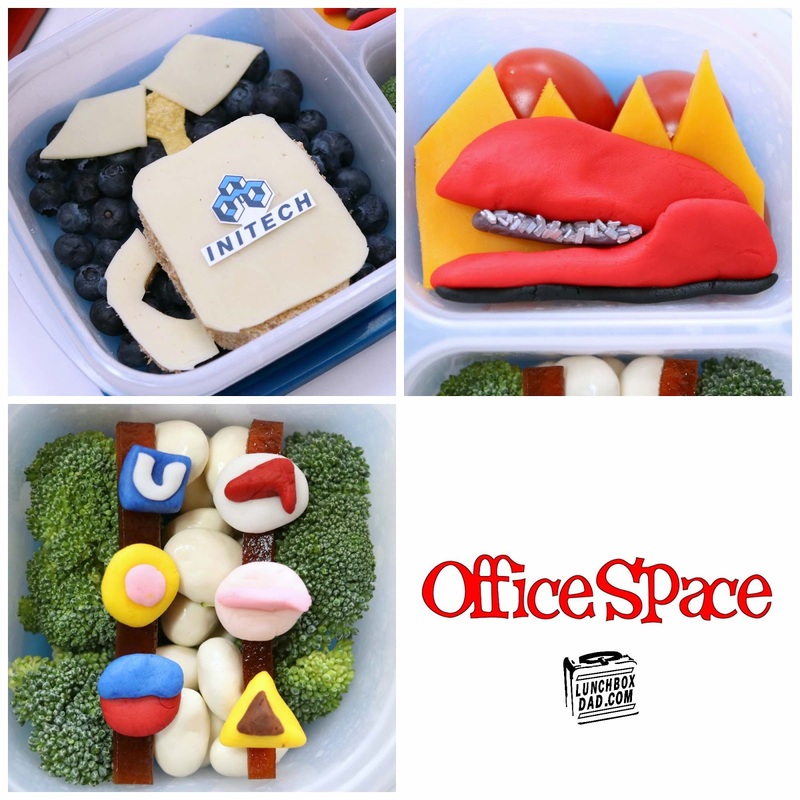 This is exactly why I wanted to share this fun and easy Monster Lunch with you. Hopefully this idea can help you cross one thing off your list as you are running around trying to finish everything else. Thankfully ALDI is also here to make back to school easier. You can find these lunch ingredients, lunchboxes, and backpacks, at your local ALDI store. We couldn't imagine our lives without ALDI. Our family has been avid shoppers at our local ALDI for a long time. Just this past year we have saved so much money by buying our groceries there. 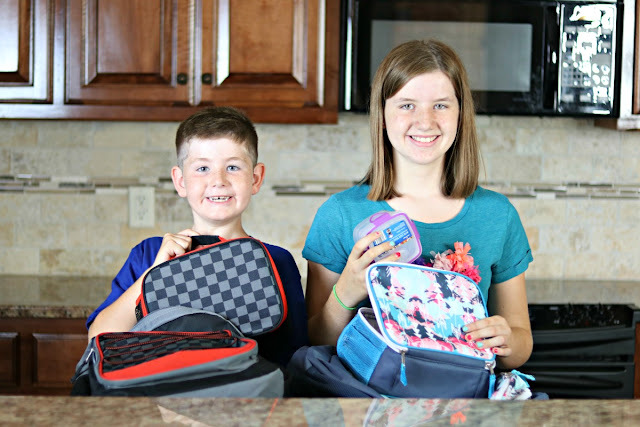 I encourage you to make ALDI your first stop for back-to-school lunch supplies, you might be surprised at the great items you find there! For this lunch I used the new lunch containers, Adventuridge insulated lunch bags, and Adventuridge backpacks that ALDI has available at your local store. My kids loved the design of these but I loved how sturdy and well-made they were! You can check them out by clicking HERE. After you take a look at them on the ALDI website, scroll down to see how easy this Monster Lunch recipe will be for you to make for your kids!